There are a lot of museums in New York City. To be sure, there are a lot of museums I have never even heard of! There is one lovely spot however, on the Upper West Side of Manhattan, that I have discovered, The American Folk Art Museum! It’s perfectly small and manageable and has one of the funkiest gift shops where I can pick up out of the ordinary, last minute gifts. The exhibits are always interesting and the people are super engaged, and I encourage you to take a little time out one afternoon and head over for a visit. It’s free! (Although a donation is always a nice thing.) Owl was certainly at home in the gift shop! 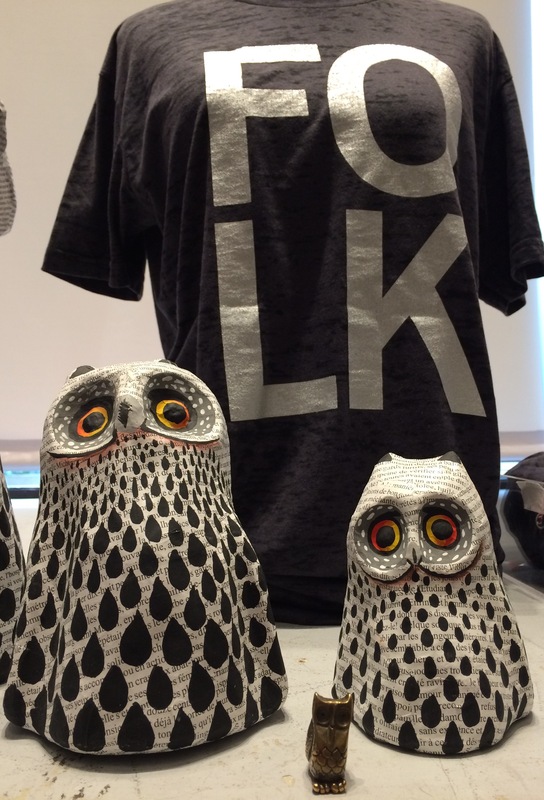 These are Owl figurines handmade by Haitian artists, using recycled newspaper. So cool!! Owl Totem certainly finds birds of a feather! Do you have a Totem to take around town? Well, you should! Just click on any of the Totem images on the side of the page and order yours today! 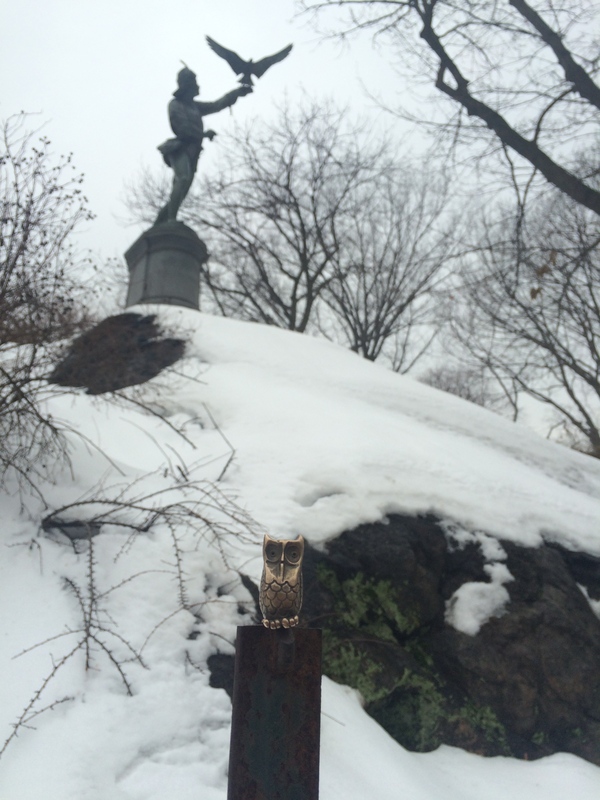 Owl was winding through Central Park the other day and came upon a fellow “bronzian”. Yes, I made that word up, but you’ll understand when you see the pic! The Falconer and The Owl! Well maybe it’s not super clear, but the statue in the foreground is made of bronze, just like Owl!!! The Falconer is one of many incredible statues to be found throughout Central Park, which is why it’s always a good idea to look up instead of down, and to take your Totem around Town!! PS: If you’ve never seen the film “The Falcon and the Snowman”, it’s an oldy but goody! PPS: If you don’t have a Totem to take around town, order one today by simply clicking on the Totem of your choice on this page!